MIDTOWN, Manhattan (WABC) -- The new wax figures of President-elect Donald Trump were unveiled by Madame Tussauds Wednesday. Trump is dressed in a patriotic dark blue suit, red tie and Made in America flag lapel pin. The finished figure took 20 artists six months to create, according to Madame Tussauds Washington. The hairstyle took five weeks; each hair was individually inserted by hand. 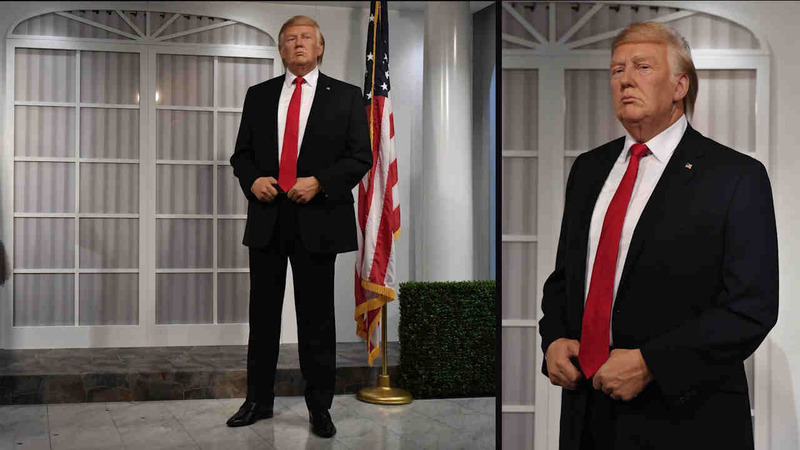 Trump is the first president to already have a wax figure. The sitting for that figure was in 1997, but for the presidential version, the original research was updated to create the new likeness. The Trump figures will be in Washington, D.C., New York, Orlando and London.